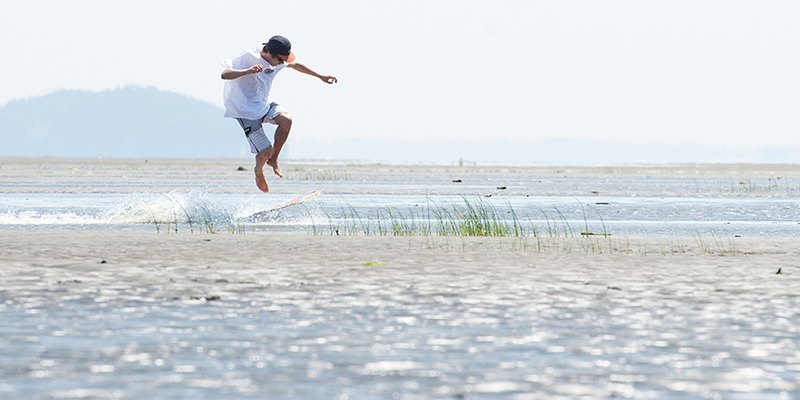 Flatland Skimboarding is a sport that is similar to skateboarding, wakeboarding, and wakeskating. The sport requires a rockered skimboard and a flat shallow stretch of water. Skimboarders are propelled only by their own momentum; running, dropping the board, and jumping on to initiate a hydroplaning effect over water. In recent years skimboarders have progressed the sport from basic flat water riding to advanced tricks performed on jumps, rails and boxes. Follow the links below for more information on flatland skimboarding. Where can I go skimboarding?